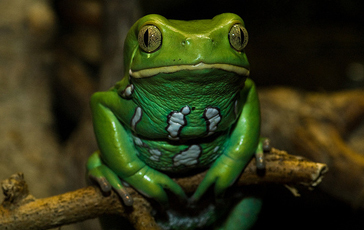 Waxy Monkey tree frogs grow to an adult size of about 3 inches in total length. They are a muted green colour with the lower lip being a bright white. They have adapted to their dry environment by applying a wax coating to their skin to prevent desiccation.